EXCLUSIVE OFFER: Blockbuster 30-day free Blu-ray and DVD rental trial | What Hi-Fi? All you have to do is head on over to our special Blockbuster page and sign up for the trial. You'll automatically qualify for Bockbuster's 2 DVD Unlimited Xtra deal, free for the first 30 days, which gives you unlimited DVD and Blu-ray rentals, two discs at a time, plus two in-store movie rentals. Delivery by first class post is free, and you can keep the discs for as long as you like. When you post them back, you can rent two more. 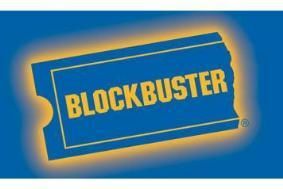 After your free trial ends, and if you don't cancel, you will automatically be transferred to an exclusive Blockbuster/What Hi-Fi? Sound and Vision plan costing £15.99 per month. Or you can transfer at any time to other Blockbuster rental plans starting from less than £5/month. If you cancel before the free trial ends, you will owe nothing. 1.This offer entitles eligible What Hi-Fi? Sound and Vision customers to receive 30 Days "Free trial" on the What Hi-Fi? Sound and Vision exclusive – unlimited DVD rentals online, 2 discs at a time + 2 store movie rentals. 2.To take up this offer visit www.Blockbuster.co.uk/WhatHiFi, offer available between 17th August 2009 and 18th September 2009. 3.You must be 18 years or over and have a valid credit/debit card to sign up to a Blockbuster plan. 4.Offer applies to new Blockbuster subscribers only. 6.During the Free Trial, a maximum of 2 DVDs will be posted to you at any one time. 7.This offer cannot be used in conjunction with any other Blockbuster rental offer. 8.Standard store membership terms and conditions apply for store movie rentals. You will need a printer to print out the vouchers each month. 9.At the end of the Free Trial offer you will automatically be transferred to the Blockbuster Xtra 2 DVD unlimited plan, offer price £15.99 a month. There is no lock-in contractual period, you can cancel or change your Blockbuster plan at any time. This offer is valid for the first year as a paying Blockbuster.co.uk subscriber. If you do not wish to take part in the Blockbuster 2 DVD Unlimited Xtra plan offer you must cancel your subscription prior to the end of the free trial period in order to avoid any charges being applied to your chosen credit or debit card. See clause 10 below. 10.At the end of the Blockbuster 2 DVD Unlimited Xtra 12 months plan, you will automatically continue to be charged for the Blockbuster 2 DVD Unlimited Xtra plan at the standard monthly price unless you cancel your subscription before the 12 month offer period comes to an end. While you are free to cancel or change your subscription at any time, you must cancel your subscription prior to the end of the 12 month offer period in order to avoid being transferred to Blockbuster standard 2 DVD Unlimited Xtra Plan and have further subscription charges being applied to your chosen credit or debit card. See clause 11 below. 11.To cancel your subscription or if you have any questions in relation to this offer please contact Blockbuster on 0845 6060383. 12.Blockbuster reserves the right to provide an alternative offer of similar value in the event that the stated offer cannot be provided for reasons outside its control.